RCE Greater Atlanta will hold its official launch event this Wednesday, October 10th, from 6:30pm - 9:00pm, at the National Center for Civil and Human Rights. Please join us - tickets are still available! Click here to register. Serve-Learn-Sustain has a limited number of complimentary tickets for students - please email us for information. Read more in a Saporta Report article published this week. As part of RCE Greater Altanta, our RCE Youth Network is also in full swing and recently held a back-to-school event at the Atlanta Beltline. 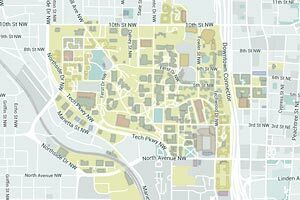 Read an account of that event by Nathan Lindsey, Graduate Student, Emory University. The Back to School Event was the first social event that the Youth Network has hosted, outside of general meetings. The event was a success with students from Kennesaw State University, Georgia Tech, Spelman and Emory attending. 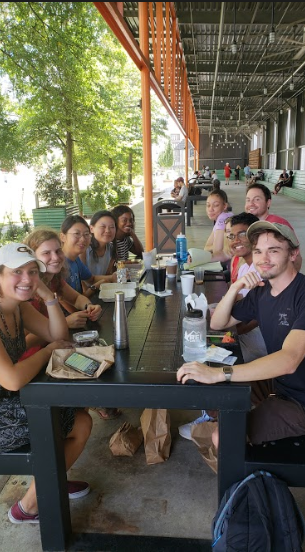 The gathering started off with students meeting under the covered section of the Beltline, at the entrance to Ponce City Market. From there, students explored the markets and purchased food from a variety of restaurants housed inside of the facility. While students ate their lunch, they discussed sustainability, as well as strategies for achieving the Sustainable Development Goals (SDGs) at their respective institutions. Speaking about opportunities and challenges associated with implementing the SDGs allowed us to trade ideas, reaffirm our commitment to solving the SDGs, and bring that knowledge back to our home institutions to make them better places to exemplify the ideals of the RCE Network. Later we learned about the environmental benefits the area had to offer. An interesting point was the possible expansion of Marta to improve public transportation in the area. Transportation could reduce the number of cars used to commute to and from the area, cutting down on the amount of pollution that goes into the atmosphere. Mira also explained the development of Old Fourth Ward Park and how it acts as a large storm water retention basin. The design of the park acts to reduce the burden of storm water on the city’s sewer infrastructure. 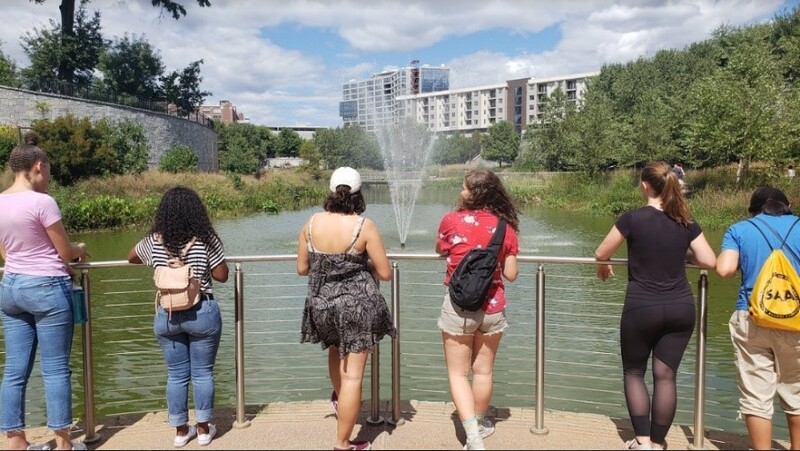 Essentially, the park reduces localized flooding, which saves the area from property damage, making the Old Fourth Ward Park not only beautiful but environmentally functional as well. After the tour ended, the group walked back to our starting point at Ponce City Market. 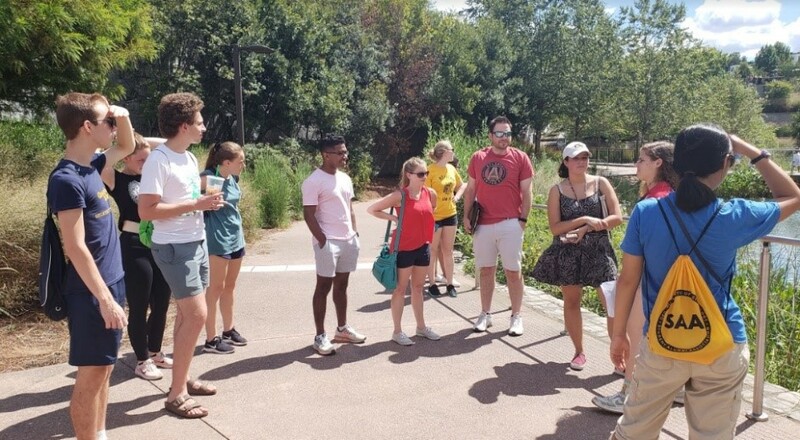 On the walk back, we continued to discuss our thoughts on the history of Beltline, the Sustainable Development Goals, and our respective universities’ progress in achieving the SDGs. Myself, (and I’m sure others as well) pondered the idea of the individual roles we each play in achieving environmental, social, and economic sustainability. We also thought about how we would use our degrees to make progress on a local, national, and international scale. Hopefully this event provided energy and inspiration to get our school years off to a great start. I learned a lot from this event and made friends who I look forward to staying in contact with in the future. I’m very excited for the upcoming events that both the RCE and Youth Networks are planning. One event that is particularly exciting is the Launch Event for the RCE on October 10th from 6:30pm-9:00pm at the National Center for Civil and Human Rights. I can’t wait for this event, and many others that are coming in the future. I hope to see you all at some of these events.